The WWU Women's Rugby Club was established in 1977 and has been growing steadily for the past 40 years. What was once a small, self-coached group is now a strong program of 30+ students who have found their place on the pitch and created an inclusive community while embracing all the amazing things this beloved sport has to offer. In the 2017 season, the Vikings went undefeated in the Division 2 CCWRC league, and made it to USA Rugby's Sweet 16 Regional Playoffs, where we had the pleasure of hosting teams from as far away as Arizona and California right here in Bellingham. Our success as a Division 2 team prompted our voluntary leap into the PMRC Division 1 league in search of tougher competition and a higher level of rugby. Last year was our first year as a D1 team and despite being new to the league and from a smaller school than our competitors, we finished fourth and proved to everyone that our team belongs in Division 1. With the experienced gained from last year's inauguration into the D1 scene, we've once again set our sights on finishing first in our league and hope to return to Sweet 16s as a stronger, more ambitious D1 team. 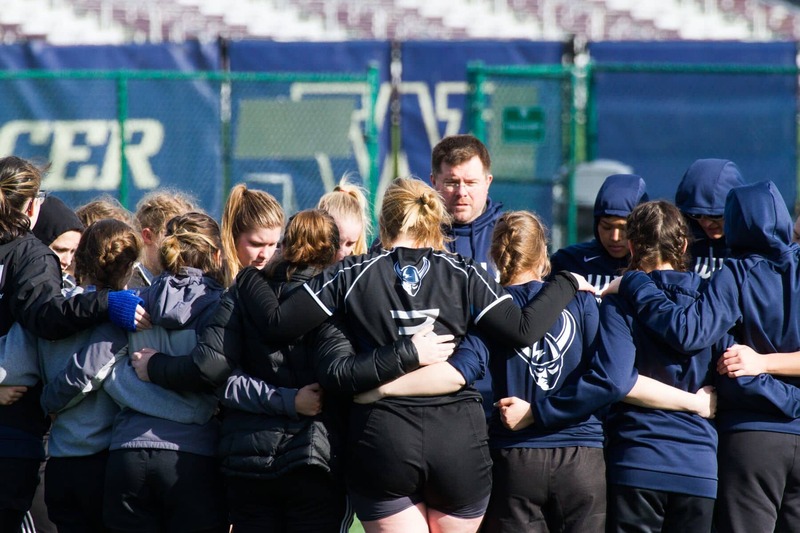 The resilient players of WWU's rugby program welcome a fresh generation of newcomers each year and are constantly working to challenge ourselves and grow as not only a team, but as individuals. We are so grateful for our amazing volunteer coaches Michael Mauger and Chris Rowell who donate countless hours of their time to this team and bring with them a plethora of rugby knowledge. As a club sport, most of our funding comes from the players themselves and our fundraising efforts. Support from friends, family, and our community is what allows us to keep this team running. Contributions are used to cover the travel, equipment, and registration costs that we are constantly faced with. We are truly appreciative of all donations, as any amount bring us closer to reaching our goal and promotes the success of our team. To stay updated with our team, please make sure to like our Facebook, and follow us on Instagram! Be sure to also check out our website where you can meet the team and learn more about our program.